The Samsung laptop, beginning with the introduction of the R580 in 2010 is unique within the computer industry in terms of its energy efficiency. Its batteries are unusually quick-charging and long-lived. However, all portable devices can be prone to damage and decay. Computer Answers technicians are experts in Samsung laptop repair. We list ten repair jobs below that we often see at our service centers. Whether or not yours is on that list, you need a technician who knows your laptop and knows it literally inside and out. Computer Answers service applies to more than just the hardware. 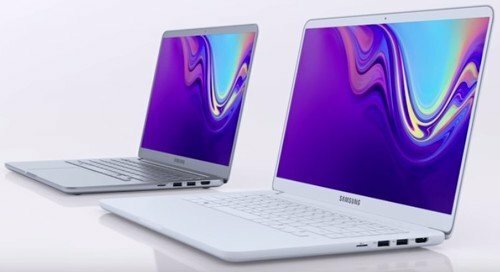 We will analyze your Samsung laptop’s operating system and software – free – and advise you on any conflicts or needed updates that our technician finds. For most problems we can do your needed repair or update while you wait at any of our five Computer Answers service centers. Contact us today either by using our Contact Form or give us a call. If you know what your problem is, we can quickly give you a repair or replacement quote. If you’re not sure, we can arrange a free, in-store analysis. In other words, you can be as energy efficient as your Samsung laptop. Why Choose Us For Your Samsung Laptop Repair?